The Burnley boss has big decisions to make at either end of the pitch. After slipping into the relegation zone, blighted by players out of form, Burnley manager Sean Dyche will be delighted that an upturn in fortunes have created a series of selection quandaries ahead of another big fixture against Fulham on Saturday. The Clarets are now seeking a fourth successive win in all competitions and have several key players finally finding their feet after a desperate start to the campaign. One point of debate growing between Burnley fans is who should be the Clarets' number one goalkeeper when their trio of England internationals are all fit. That moment has now arrived. The newest set of gloves, Joe Hart, had been Dyche's first choice in the absence of Nick Pope and it seemed certain that club captain Tom Heaton would be on his way out of the door during the January transfer window. 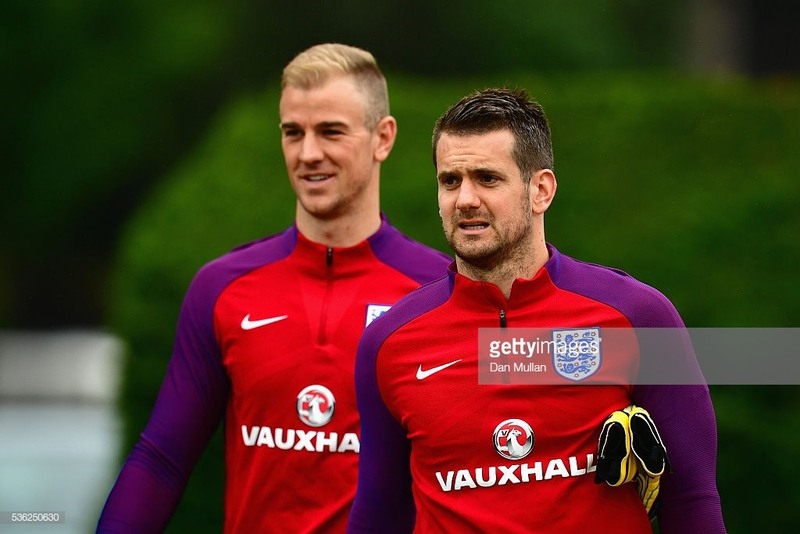 However, Heaton has taken the number one spot for the last two league games as Hart's form deteriorated. Such a selection is a popular one amongst the Turf Moor faithful. Dyche told BBC Sport on Thursday: "Changing the keeper is a risk/reward situation and Tom has done well, but that doesn't mean Joe is not a top keeper, which he is. He's accepted the change and we move on, because we have three top keepers." Yet Pope came through his first 90 minutes of the season against Barnsley in the FA Cup last weekend and will be looking to stake a claim in upcoming games. Dyche also has an interesting decision to make at right-back. Matt Lowton has been a regular in that position but Phil Bardsley has impressed in recent weeks. The veteran defender has six months left on his contract and appears to be fighting for his career in the top-flight. Both players were announced as available by Dyche but, further forward, Johann Berg Gudmundsson remains an injury doubt. The winger could join Robbie Brady, who is suspended, and Aaron Lennon on the sidelines. Fortunately, teenage sensation Dwight McNeil has grasped his first-team opportunity with both hands and will provide an adequate resource on the wing. If Gudmundsson doesn't make it, left-back Charlie Taylor could be pushed further forward or an attacking player such as Ashley Barnes or Matej Vydra could be asked to play wider - does Dyche have the ambition to go so attacking, even against a defence as leaky as Fulham's? Assuming Dyche plays 4-4-2, which has worked wonders in the last fortnight, his front two will also be an interesting selection. Barnes and Chris Wood have reignited the partnership that surged Burnley towards the top seven at the latter end of last season and it would be difficult to leave one of them out. Yet it is no coincidence that Burnley won their first (and second depending how you look at it) penalty in over 60 games when Vydra came into the squad against Barnsley at the weekend. One of Burnley's biggest problems this season has been the lack of a creative spark in the final third. Ashley Westwood has come into form to play such a role from central midfield but Vydra offers the flair and trickery that not many other Clarets can provide.